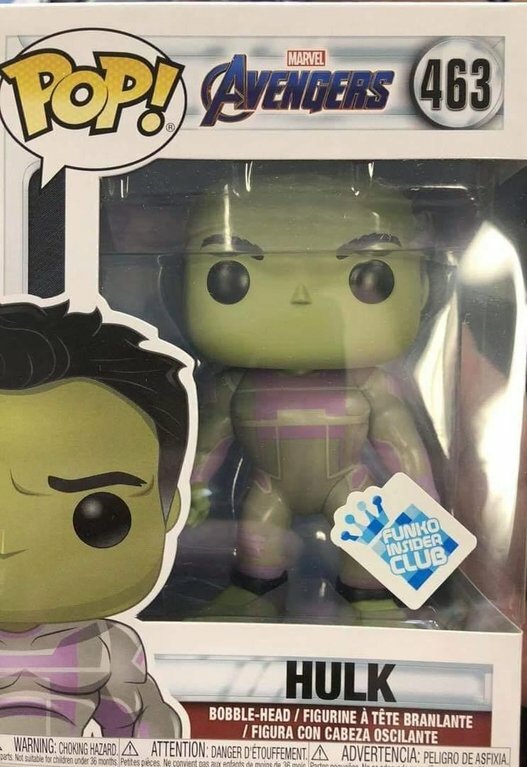 While Hulk has yet to make a single appearance in the trailers for Avengers: Endgame, the Jade Giant has still featured in plenty of the film’s promo art and tie-in merchandise, including this recently surfaced Funko Pop! figure. As you can see, the design shows Mark Ruffalo’s character rocking a new outfit that exhibits a similar grey and purple color scheme to the suit worn by Hulk in previously unveiled promo art. From the look of things, Bruce Banner’s alter ego could be sporting this getup for a good proportion of his screen time, though recent toy leaks have hinted that he may also be wearing the same white uniform that most of the team had on in the last trailer. Of course, we’d probably have a much better idea of how Hulk will look in next month’s release if the promotional footage would only give us the briefest glimpse of the guy. Alas, even Banner has been given very little screen time in the film’s trailers and TV spots, which has naturally got the fans wondering just what Marvel Studios is trying to hide. Granted, after Bruce’s transformation difficulties in last year’s Avengers: Infinity War, you might argue that Marvel simply doesn’t want to spoil the fact that Hulk returns. But another, more intriguing theory that’s been getting some traction is that the upcoming film will see Bruce combine his two sides into the Professor Hulk persona from the comics. Now there’d be a twist worth saving for the pic’s release. Speaking of which, it’s not long now before Avengers: Endgame finally arrives in theaters on April 26th, but in the meantime, tickets are expected to go on sale very soon.